The SOLDIWORKS Rx tool is a feature that is automatically installed with SOLIDWORKS software. However, many users are unaware of its benefits. It easily captures video and information for troubleshooting problems and checks your systems performance. It also allows you to run tests and compare your results with other SOLIDWORKS users. In this two part blog we will dive into the SOLDIWORKS Rx tool and how to use it to help solve issues that can arise while using the software. 1. Know how to recreate the issue: When you kick off the recording, you’ll need to do your best to demonstrate the issue. 2. 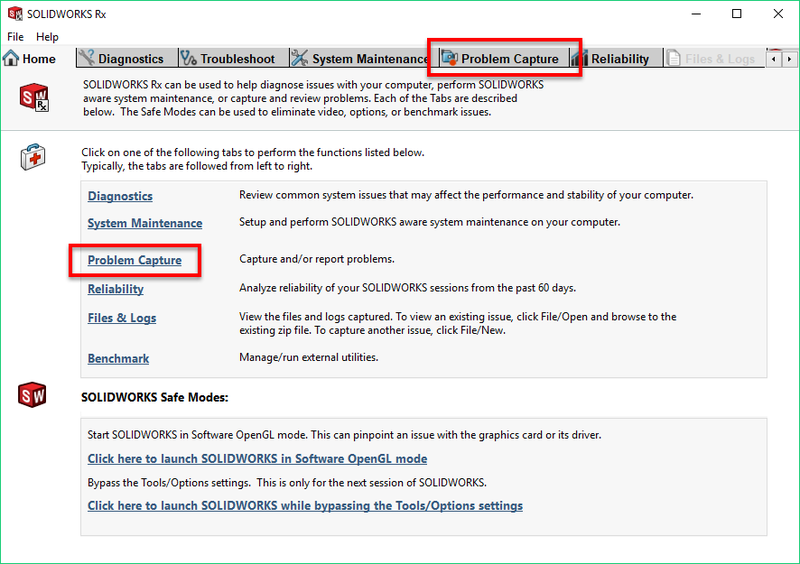 Close SOLIDWORKS: Having a fresh session of SOLIDWORKS running when the capture begins is ideal. 4. 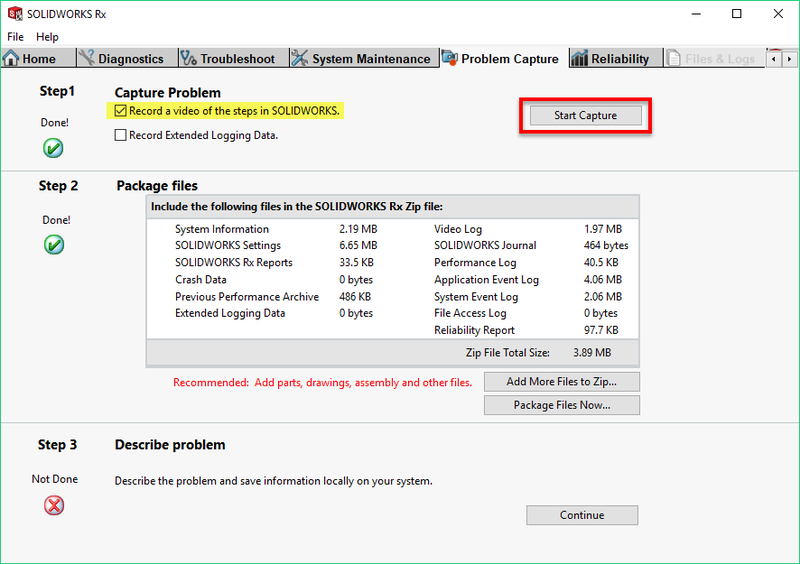 Select Start Capture: Ensure that the “Record a video of the steps in SOLIDWORKS” box is checked and the click "Start Capture" button. 5. Begin recording: SOLIDWORKS will now automatically start up and a small window will appear to assist with the recording. 6. 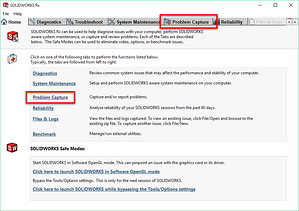 Recreate the problem behavior to the best of your ability: If the targeted behavior ends with a crash, SOLIDWORKS will automatically end the recording. If there is no crash, it is up to the user to end the recording, at which time SOLIDWORKS will need to close. Note: Be sure to select whether to save any open files, or SOLIDWORKS will not close and the capture will not be completed. 7. Add SOLIDWORKS files to the report: If possible, include any relevant SOLIDWORKS files by selecting “Add More Files to Zip”. 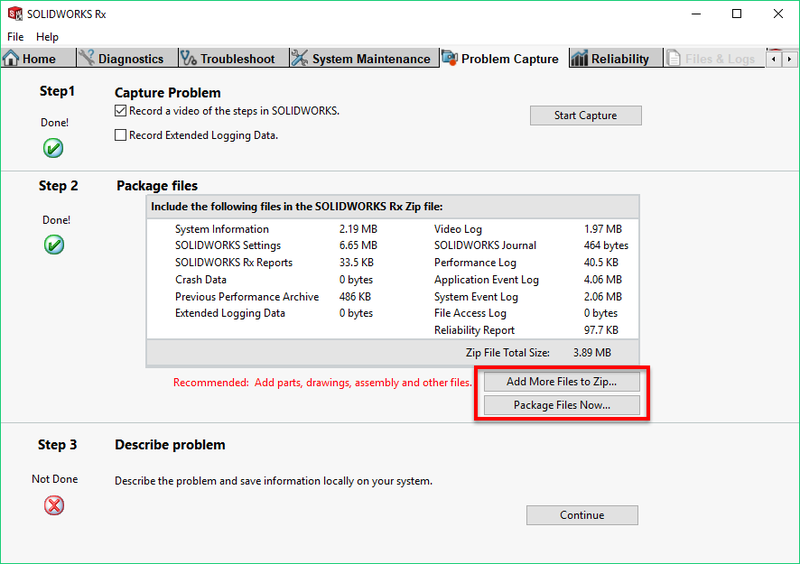 At this point, SOLIDWORKS will automatically package any files that were open during the recording, but you may remove or add files as needed. 8. Select “Package Files Now”: The important part here is remembering where the folder is stored so that it can be sent to technical support later. 9. Describe the problem: It is important to be as detailed as possible, so the technical support representative analyzing the report has some context for the problem behavior. Technology isn't perfect. The good news is that SOLIDWORKS recognizes this and has provided us with a great tool to investigate the source of problems that can arise! Have you upgraded to SOLIDWORKS 2018 yet? Watch our on-demand webinar to learn the best practices for a smooth upgrade!